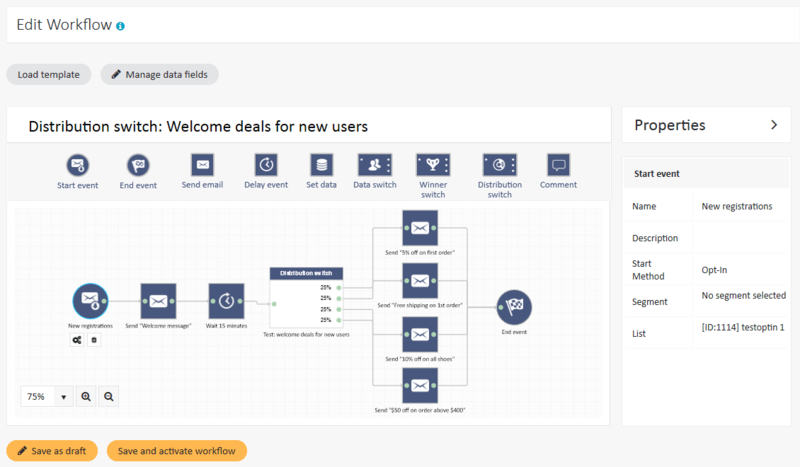 ExpertSender is a marketing automation hub. Their cloud hosted solution is used for managing, executing and measuring complex email and SMS marketing campaigns. This includes segmentation, targeting, split testing, throttling, IP volume balancing, list scalability, and more, helping customers achieve high delivery. ExpertSender is a registered ESPC, EEC and MAAWG member and was rated the world’s best segmentation among mid-market ESPs by Red Pill Email Vendor Selection Guide. ExpertSender focuses on providing marketing solutions for customers from around the globe and have offices in the USA, France, Spain, Poland, Russia, China and Brazil. They send over 15 billion email messages per year. Their team of experts help accommodate the needs of contemporary marketers. ExpertSender customers come from a range of industries including; e-commerce retailers, travel, fashion, banking & financial services, gaming, media & entertainment. They use ExpertSender for campaigns ranging from marketing and advertising content, newsletters to transactional messages, such as order confirmations, payment reminders, invoices or product shipping updates. Brands who have already trusted ExpertSender’s expertise include: Michelin, AXA, Citroen, National Geographic Learning, Media Markt, Victoria’s Secret, Tui and Axel Springer. Automate customer life cycles and create real-world business scenarios which will help lead your customers down their desired path. ExpertSender’s segmentation was voted the best among email providers globally. If you’ve got the data, you’ll be able to segment it any way you please. If you’re a business user or a SQL veteran, they’ll have you covered. ExpertSender are experts in deliverability and can help with anything related to inbox placement with the most popular ISPs. They are able to advise you on problems with black listing, IP warming, IP volume balancing, throttle rates with specific ISPs and IP-routing. The ExpertSender platform offers unlimited personalization capabilities with dynamic content. 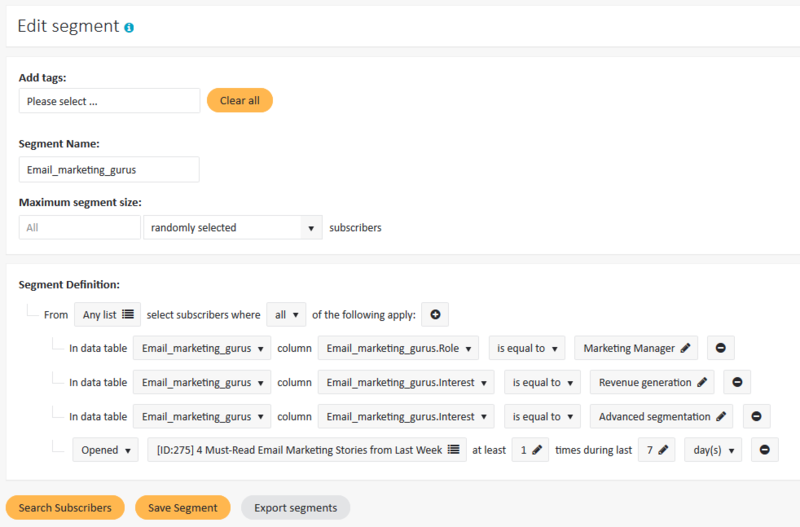 Just store your customer data within custom fields or more complex data within data tables and you can start sending real one-to-one campaigns right away. ExpertSender have a number of integrations with eCommerce platforms, recommendation engines and analytics platforms. These include: Magento, PrestaShop, SoftCube, SaveCart, IgnitionOne and Vivom. Need integration with another platform? Ask them or make use of their robust API.